Happy Tuesday! Hope you are having a great day. I love Solace London’s pieces for how unique and edgy they are just like the culottes on this post - perfect fit and length. On a prior post, I wore stripe culottes here; one of my favorites. 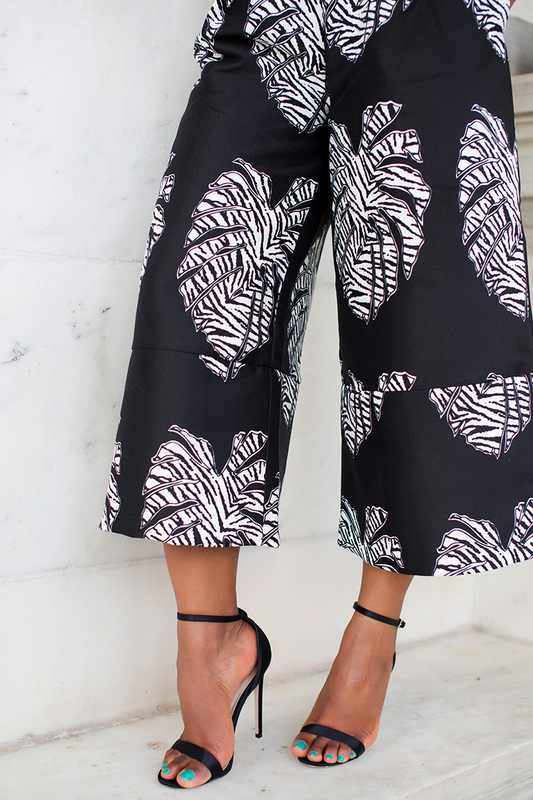 Today, I am wearing the palm print version paired with a black sheer crop top (white version worn here). I completed the look with my favorite black strappy sandals . Wow, awesome culottes! Love this outfit! You just look wonderful in everything! I am totally getting culottes now. Have a wonderful week too. 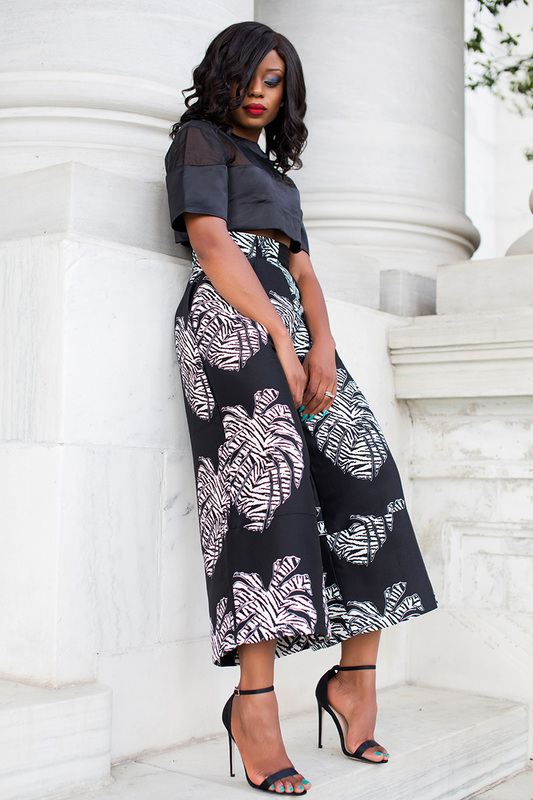 Those culottes are everything! I love the print and the styling with the leather crop top. As for your photography location. I can only dream of something like this in Nigeria. My friends think we look alike but you are far more prettier. I love those shoes!! 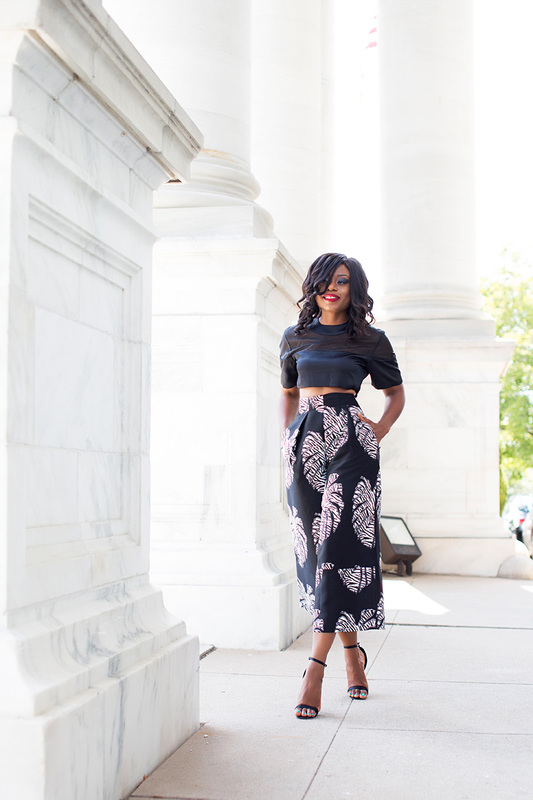 The culottes are on point and the crop top is a stunner! This outfit is a 100. Everything on point. Fab! Great outfit, you look fabulous!